Fancy finding out how to design your own 3D model? Come and take a look at our 3D printers in action! 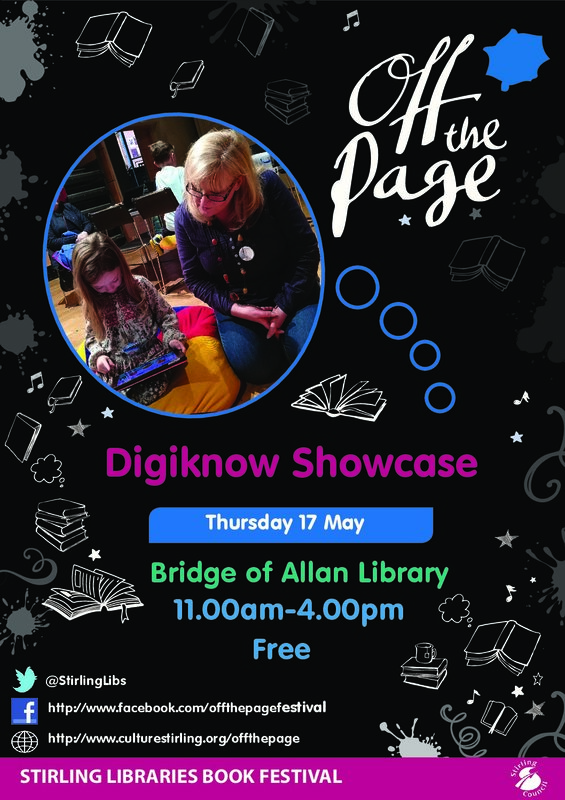 Come and investigate some new digital activities at Stirling Libraries DigiKnow event at Bridge of Allan Library. Have a go on the smart devices and explore Stirling Libraries e-services – thousands of e-books, magazines, and comics completely free with your library card. Bring your little ones along and investigate some Apps especially chosen for using together with pre-school children. Get hands on with Osmos, Makey-Makeys and the HP Sprout digital creation station. Try out a spot of coding and have a play with our friendly robots. 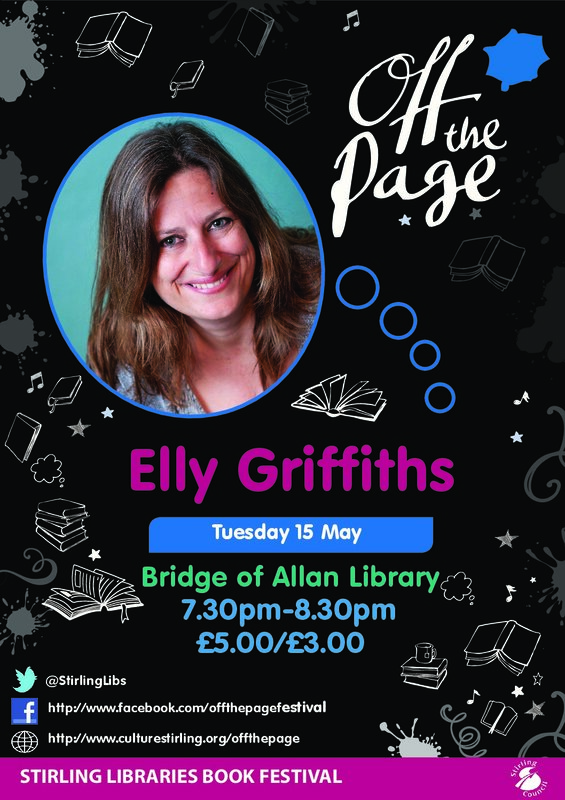 Bridge of Allan Library have a number of great events running during their book festival week “Off the Page” running through the week of 14th May. A summary of some of the events is below. We have been very lucky and managed to entice bestselling crime author Elly Griffiths along to BOA. Elly is travelling from Brighton and we are hoping to give her a fabulous turn out. I have attached the flyer for the event and here is some general info. Come along to Bridge of Allan Library to take part in a digital design and 3D printing workshop run by Stirling Libraries Digital Services team. Design and personalise your own keyring, see the 3D printers in action and take away a wee goody bag of unique 3D prints. To avoid disappointment, please book your space.